I just read that Sammy Wanjiru, the reigning Olympic champion in the Marathon and former Half Marathon World Record holder has just died, aged 24. He was someone to watch! 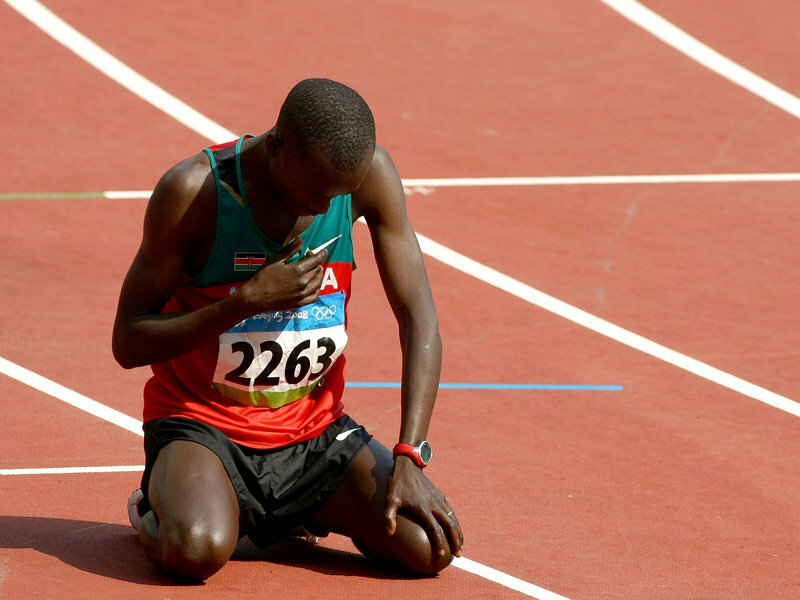 At 24 to be one of the best Marathoners in the World, imagine what we could have had to look forward to when he was a bit older. Apparently he died in a fall (or possibly jump) from a balcony in Kenya. Sad, sad news indeed. Although I suppose it is too soon to know for sure, according to the Telegraph, he had an argument with his wife after she found him in bed with another woman (oh dear) and he jumped out of the window in a rage. Apparently they had quite a stormy relationship - he was charged back in December for attempting to murder her and for illegal possession of an AK-47 rifle.